Rocket Baby, On National Radio!…. Well, that’s another thing to cross off the list of things to do…. 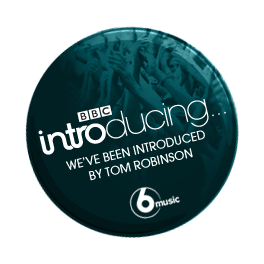 Our tune, Rocket Baby, was featured on the 6Music show hosted by Tom Robinson, in the UK. Now I know what it’s like to have and hear your single on the radio! I gotta tell you, it’s weird, but not like anything else. If it goes no further, it’s something that I’m going to remember. The kids heard it and couldn’t believe it, their old man on the radio! I’ll upload an mp3 as soon as I get it, but until then, click here to hear the show. We’re first, straight off the bat, opening the show with the organ swells…. WIK’d!!! We’ve made it, finally, to radio! And the BBC no less!!!…. From THE Tom Robinson, no less! When I know more, I’ll post it. I know it’ll be on the web for our “fans and followers” from around the world, via their iPlayer. I’ll let you know….